The IndyCar Series, currently known as the NTT IndyCar Series under sponsorship, is the premier level of open-wheel racing in North America. 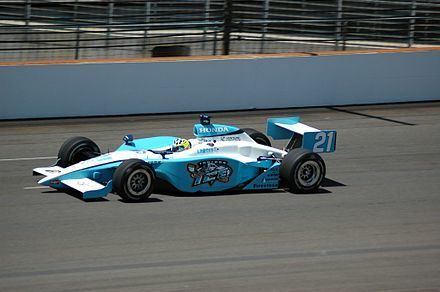 Its parent company began in 1996 as the Indy Racing League (IRL), which was created by then Indianapolis Motor Speedway owner Tony George as a competitor to CART. In 2008, the IndyCar Series merged with the Champ Car World Series (formerly CART). 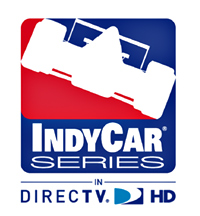 The series is self-sanctioned by IndyCar. 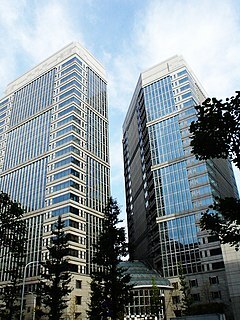 The Nippon Telegraph and Telephone Corporation, commonly known as NTT, is a Japanese telecommunications company headquartered in Tokyo, Japan. Ranked 65th in Fortune Global 500, NTT is the fourth largest telecommunications company in the world in terms of revenue, as well as the third largest publicly traded company in Japan after Toyota and MUFG, as of September 2018. The 2003 IRL IndyCar Series brought some of the biggest changes in its history. The league adopted the name IndyCar Series, after a settlement with CART prohibiting its use had expired. Several former CART teams brought their full operations to the IRL, most notably major squads Chip Ganassi Racing and Andretti Green Racing, as well as former CART engine manufacturers Toyota and Honda, replacing Infiniti who shifted its efforts to the new feeder series Infiniti Pro Series. Many of the IRL's old guard including Robbie Buhl, Greg Ray, and Buddy Lazier had difficulty competing in this new manufacturer-driven landscape. The league, also added its first international race this year, taking over the CART date at Twin Ring Motegi. The Pep Boys: Manny, Moe & Jack is an American automotive aftermarket retail and service chain. They are referred to as the "founders of the automotive aftermarket". 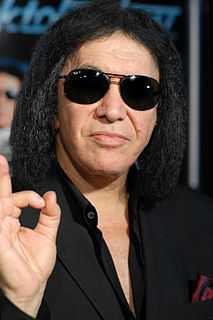 Gene Klein (born Chaim Witz, known professionally as Gene Simmons, is an Israeli-American musician, singer, songwriter, record producer, entrepreneur, actor, author, and television personality. Also known by his stage persona The Demon, he is the bassist and co-lead singer of Kiss, the rock band he co-founded with lead singer and rhythm guitarist Paul Stanley in the early 1970s. The Izod Corporation is a mid-range clothing company that produces dressy-casual clothing, sportswear for men, as well as footwear and accessories. It is part of PVH, forming part of its Heritage Brands division along with Van Heusen, Arrow, Warner's, Olga, and Speedo. It is perhaps best known for its short-sleeved piqué polo shirt, formerly produced by Lacoste and featuring the Lacoste crocodile on the left breast, now replaced with an embroidered crest. One variation is the "IZ" patch instead of crest. Other Izod classics include the Harrington jacket G-9 model, also v-neck and cardigan sweaters. Today, the Izod brand competes most directly with the similarly-priced Chaps brand owned by Ralph Lauren Corporation, while competing more indirectly on the lower end with U.S. Polo Assn. and on the higher end with Nautica. Verizon Communications Inc. is an American multinational telecommunications conglomerate and a corporate component of the Dow Jones Industrial Average. 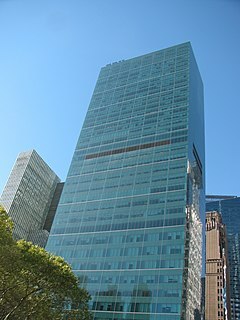 The company is based at 1095 Avenue of the Americas in Midtown Manhattan, New York City, but is incorporated in Delaware. In 2012 the series adopted the Dallara IR-12 chassis  as a cost control method, and IndyCar negotiated a price of $349,000 per chassis. The new specification also improved safety, the most obvious feature being the partial enclosure around the rear wheels, which acts to prevent cars ramping up over another vehicle's back end. The fuel tank of all IndyCar Series cars are made of rubber and is covered with a Kevlar-fitted blanket for extra protection in side impacts safety cell supplied by Fuel Safe. Currently the fuel tank capacity of all IndyCar Series cars are 18.5 US gal (70 L ) since 2012–present. Previously, the fuel tank of all IndyCar Series cars were 22 US gal (83 L ) in 2007–2011, 30 US gal (114 L ) in 2004–2006, and 35 US gal (132 L ) in 1997–2003. The engine formula was changed with the 2000–2004 formula. The displacement was dropped down from 4.0 L to 3.5 L, and the requirement for the block to be production-based was dropped. This formula was used through 2003. In 2004, in the wake of several crashes including the fatal crash of Tony Renna and the severe crash of Kenny Bräck, the displacement was reduced 3.0 L to curb top speeds. As part of General Motors' discontinuance of the Oldsmobile name, the Olds engine was rebadged as the Chevrolet starting with the 2002 season. However, the effort could not compete with the Toyota and Honda programs starting in 2003. In August 2003, Chevrolet announced to the public its "Gen IV" motor, a rebadged Cosworth motor for competition. At the time, Cosworth was owned by Ford. On November 4, 2004, Chevrolet stated that it would be ending its IRL engine program effective with the end of the 2005 season, citing costs that exceeded value, according to then GM Racing Director Doug Duchardt, "The investment did not meet our objectives." The current, fourth-generation IndyCar formula was presented in 2012. The engines are now 2.2-liter twin turbo V-6's putting out estimated 550–750 hp depending on the level of boost used. They are limited to 12,000 rpm. Engines are currently supplied by Chevrolet and Honda. Starting in the 2011 season, McLaren has supplied its TAG-400i engine control unit. Buddy Rice is an American racecar driver. He is best known for winning the 2004 Indianapolis 500 while driving for Rahal Letterman Racing, and the 2009 24 Hours of Daytona for Brumos Racing. Anton Hulman "Tony" George is the chairman and former President and CEO of the Indianapolis Motor Speedway and Hulman & Company, serving from 1989 to 2009. He was also formerly on the Board of Directors of both entities. He founded the Indy Racing League and co-owned Vision Racing. Formula racing is any of several forms of open-wheeled single-seater motorsport road racing. The origin of the term lies in the nomenclature that was adopted by the FIA for all of its post-World War II single-seater regulations, or formulae. The best known of these formulae are Formula One, Formula Two, Formula Three and Formula Four. Common usage of "formula racing" encompasses other single-seater series, including the GP2 Series, which replaced Formula 3000. Buddy Lazier is an American auto racing driver, best known for winning the 1996 Indianapolis 500 and the 2000 Indy Racing League season championship. Rahal Letterman Lanigan Racing is an auto racing team that has participated in the WeatherTech SportsCar Championship, Global Rallycross Championship, and the IndyCar Series. Headquartered in Brownsburg, Indiana and Hilliard, Ohio, it is co-owned by 1986 Indianapolis 500 winner Bobby Rahal, former television talk show host David Letterman, and businessman Mike Lanigan. The 2005 IRL IndyCar Series began on Sunday, March 6 and ended on Sunday, October 16. The season, which consisted of 17 races, was the 10th season of the IRL IndyCar Series since it split from CART in 1995. Gregory "Greg" Ray is a former IRL IndyCar Series driver. Roth Racing was a race team owned by Canadian real estate magnate and racecar driver Marty Roth. It competed in the Indy Racing League IndyCar Series. Michael Dennis Groff is a former race car driver who competed in CART and the IRL IndyCar Series and was the 1989 Indy Lights champion. His younger brother Robbie was also a CART and IRL driver from 1994 to 1998. The 2009 IndyCar Series was the 14th season of the IndyCar Series. The 17-race season began on April 5, and its premier event, the 93rd Indianapolis 500 was held May 24. All races were broadcast on ABC or Versus in high-definition. It represented the 98th recognized season of top-level American open wheel racing. 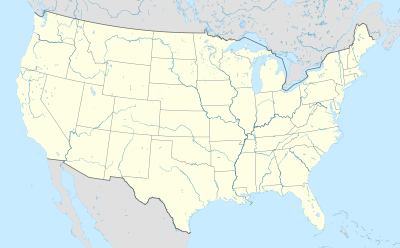 The 2012 IZOD IndyCar Series was the 17th season of the IndyCar Series, and the 101st season of American open wheel racing. Its premier event was the 96th Indianapolis 500, held on Sunday, May 27. The series was sanctioned by IndyCar, and took place in three countries on two continents. Chevrolet returned to the series for the first time since 2005 while Lotus debuted, with the latter leaving the IndyCar Series after the 2012 season due to poor performance. 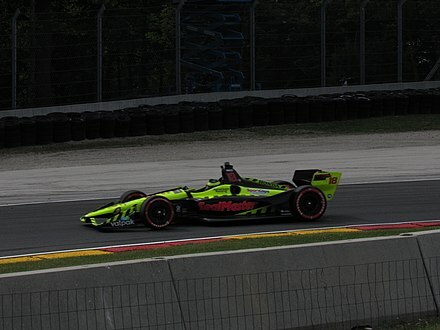 Indy Racing League, LLC, doing business as IndyCar, is an American-based auto racing sanctioning body for Indy car racing and other disciplines of open wheel car racing. The organization sanctions four racing series: the premier IndyCar Series with its centerpiece the Indianapolis 500, and developmental series Indy Lights, the Pro Mazda Championship and the U.S. F2000 National Championship, which are all a part of The Road To Indy. IndyCar is recognized as a member organization of the FIA through ACCUS. The Dallara DW12 is an open-wheel formula racing car developed and produced by Italian manufacturer Dallara for use in the IndyCar Series. It was developed for use in the 2012 IndyCar Series season, replacing the aging Dallara IR-05 chassis, and is planned to be used until 2020 due to the series' philosophy of upgrading its chassis every nine years since 2012. The chassis is named after Dan Wheldon, who was the car's test driver, and who was killed at Las Vegas Motor Speedway on October 16, 2011, the final race of the previous IR-05. The Honda Indy V8 engine is a 3.5-litre naturally-aspirated V8, developed and produced by HPD-AHM Co. in partnership with Ilmor Engineering for IndyCar Series. Honda Indy V8 was a highly-successful IndyCar Series engine supplier from 2003 to 2011 seasons before replaced by Honda Indy V6 at the following season. Honda Indy V8 was unveiled at 2002 Detroit Auto Show and assembled at HPD power assembly plant in Santa Clarita, California, USA in early 2003. 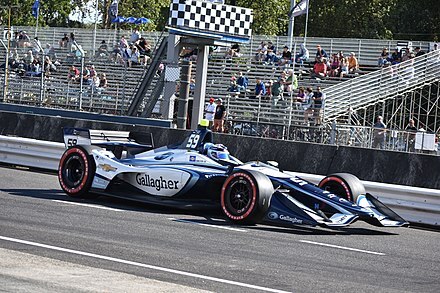 The 2019 NTT IndyCar Series is the 24th season of the IndyCar Series and the 98th official championship season of American open wheel racing. The premier event will be the 2019 Indianapolis 500, with Will Power entering as the defending winner. Honda entered as the defending Manufacturers' Cup champion. Scott Dixon entered the season as the defending National Champion. ↑ The first American championship car season took place in 1905. ↑ "IndyCar lands title sponsor". IndyStar.com. 2009-11-03. Archived from the original on November 6, 2009. Retrieved 2010-08-23. ↑ "Indy Racing and Northern Light end partnership". Motorsport.com. 2002-01-07. Archived from the original on 2008-05-03. Retrieved 2010-08-23. ↑ "IRL Forms Innovative Marketing Agreement With Gene Simmons & Richard Abramson". GeneSimmons.com. 2006-01-10. Archived from the original on 2013-01-10. Retrieved 2010-08-23. ↑ "IRL caught in TV war". Indianapolis Business Journal. Archived from the original on 2016-05-08. Retrieved 1 May 2016. ↑ "Indianapolis 500 stays in the family with sponsor deal". USA Today. Gannett Company. Archived from the original on 2016-04-25. Retrieved 1 May 2016. ↑ "Indy 500 gets presenting sponsor in 3-year deal worth about $5 million". Indianapolis Star. Gannett Company. Archived from the original on 2016-02-09. Retrieved 1 May 2016. ↑ "Izod is IndyCar Series title sponsor". autoweek.com. 2009-11-06. Archived from the original on December 12, 2009. Retrieved 2010-10-29. ↑ "Izod dropping IndyCar Series sponsorship". Indianapolis Business Journal . September 27, 2013. Archived from the original on 2013-10-24. Retrieved December 1, 2013. ↑ "NBC Sports is riding co-pilot in IndyCar's title sponsor search". Advertising Age. Archived from the original on 2018-08-30. Retrieved 2018-08-31. ↑ "IndyCar Names NTT as IndyCar Series Title Sponsor, Official Technology Partner". Sports Video Group. Retrieved 2019-01-19. ↑ "IRL Adds TNN to its family as all '98 races on broadcast TV". Sports Business Daily. 1997-12-04. Archived from the original on 2011-01-04. Retrieved 2010-08-23. ↑ "IndyCar Announces New TV Deal". insideindianabusiness.com. 2008-08-07. Archived from the original on 2013-05-07. Retrieved 2010-10-29. ↑ "2016 Schedule" (PDF). Archived (PDF) from the original on 2016-07-01. Retrieved 5 June 2016. ↑ "INDYCAR SIGNS MULTIYEAR MEDIA RIGHTS PACKAGE WITH NBC SPORTS GROUP". IndyCar Series. March 21, 2018. Archived from the original on 2018-03-22. Retrieved March 23, 2018. ↑ "NBC SPORTS GROUP AND INDYCAR PARTNER ON COMPREHENSIVE, MULTI-YEAR MEDIA RIGHTS AGREEMENT" (Press release). NBC Sports Group. March 21, 2018. Archived from the original on 2018-03-24. Retrieved March 23, 2018. ↑ Ayello, Jim (March 21, 2018). "The Indy 500 will soon have a new TV network". The Indianapolis Star . Archived from the original on 2018-03-22. Retrieved March 23, 2018. ↑ Steinberg, Brian (March 21, 2018). "NBC Sports Grabs Indianapolis 500 Rights From ABC After 54 Years". Variety . Archived from the original on 2018-03-22. Retrieved March 23, 2018. ↑ "TV Feed". About Five. Archived from the original on 2009-08-17. Retrieved 2010-08-23. ↑ "Blanketing Canada with in-depth series coverage". IndyCar.com. Archived from the original on 2 March 2013. Retrieved 4 March 2013. ↑ "IndyCar's 2012 Chassis: Lessons Learned from the Car of Tomorrow". Archived from the original on November 19, 2011. Retrieved 14 September 2015. ↑ "Dallara named IndyCar chassis supplier for 2012". Archived from the original on 2012-10-12. Retrieved 20 January 2013. ↑ "Aero Kit Discussions, Decisions Continue To Evolve". Archived from the original on 2 January 2013. Retrieved 20 January 2013. ↑ "Dallara DW12, named after the late Dan Wheldon, transformed IndyCar". Archived from the original on 2013-03-03. Retrieved 20 January 2013. ↑ "Sunoco to Become Official Fuel of Indy Racing League in 2011". IndyCar Series. Marketwatch.com. 2010-05-27. Retrieved 2010-05-27. 1 2 "IRL Aurora V8". Autoworld.com. 2001-03-29. Archived from the original on 2010-01-08. Retrieved 2010-08-23. ↑ "IRL Engine Specifications Announced for 2000–2004 Seasons". Motorsport.com. 1998-11-17. Archived from the original on 2011-06-06. Retrieved 2010-08-23. ↑ "Chevy revs for 2002 IRL season". SAE Intl. Archived from the original on 2013-05-05. Retrieved 2010-08-23. ↑ Reitz, Victoria (2006-05-25). "Leveling the playing field". MachineDesign.com. Archived from the original on 2008-05-02. Retrieved 2003-04-13. ↑ "IndyCar confirms rule changes, cost savings". Racer.com. 2010-01-12. Archived from the original on 2010-05-25. Retrieved 2010-08-23. ↑ "Fan Info – INDYCAR 101 – The Car Dallara – Indycar Series Chassis Specifications". indycar.com. Archived from the original on 2014-10-03. Retrieved 2014-10-07. 1 2 "You Think Driving An Indy Car Is Easy?". 17 August 2012. Archived from the original on 2016-10-19. Retrieved 2016-10-15. ↑ "Aero kit development frozen for 2017; Series plans universal car in 2018". Archived from the original on 2017-02-20. Retrieved 2017-02-20. ↑ Glendenning, Mark. "IndyCar wants Indianapolis speed record beaten by 2016". Archived from the original on 2017-02-20. Retrieved 2017-02-20. Wikimedia Commons has media related to IndyCar .